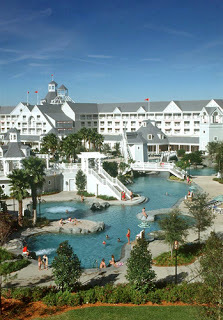 Disney World Resorts have recently been added to the line-up of Reserve Orlando lodging choices. Customers can now add even more magic to their Disney vacation by staying at a Disney World Resort. Featuring a range of properties including value-based resorts and upscale retreats, Disney properties are designed with customer satisfaction in mind. Reserve Orlando provides a full selection of Disney Resorts. From tropical paradises to boardwalk charm to safari adventure, each lodge offers a unique place to call home while visiting the most magical place on Earth. Disney World Resort vacation packages are also available. Packages make a Reserve Orlando purchase easy as guests can easily add Disney World tickets and reserve an entire vacation all at once. Plus, customers have the ability to customize their ticket purchase by adding a Waterpark, Fun and More option or Park Hopper option to their tickets. Disney World tickets included in the Disney Resort package include “free day” savings, making a Disney vacation even more affordable. “Free Day” upgrades are offered on single park tickets, park-to-park tickets and Waterpark, Fun and More ticket options. Guests who choose to stay on Disney property also receive benefits only a Disney Resort can provide. Included in the guest benefits are complimentary transportation, Extra Magic Hours and Disney’s Magic Express Service, as well as complimentary golf club rental. Make your Disney dreams come true by reserving a Disney Resort vacation package. Stay and play where Mickey lives – it’s the best way to experience a true Disney World vacation! Reserve Direct is a travel reservation technology company that focuses on specific travel destinations, offering local expertise and reservations for shows and attractions, as well as lodging and hotel reservations to vacationers, families and businesses. The company also offers fulfillment tools to travel suppliers and other regional travel resources. Reserve Direct provides travel service in a variety of markets like Branson, Missouri; Pigeon Forge and Gatlinburg, Tennessee; Orlando, Florida; Williamsburg, Virginia; the Hawaiian Islands; and Myrtle Beach, South Carolina.